USA Fibre Report 2015, Trends in Fibre Production USA, Filament Apparent Consumption. 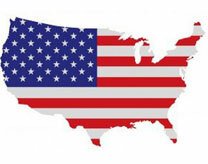 US is the world's third largest producer of cotton and fourth largest manmade fibre producer, supplying around 13% of cotton output and 3% of MMF. 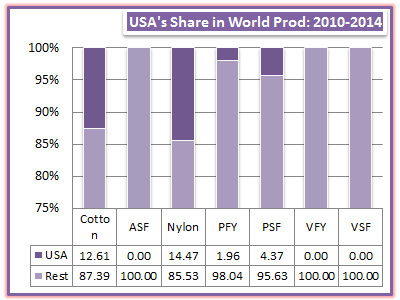 US was the second largest supplier and consumer of nylons, third largest producer and second largest consumer of PSF and sixth in production and fourth in consumption of PFY.